Built as part of World War II efforts, the Ogden Defense Depot became a significant contributor to the economic growth of Weber County. Ogden Defense Depot was one of seven warehousing and distribution depots operated nationwide by the Defense Logistics Agency (DLA). 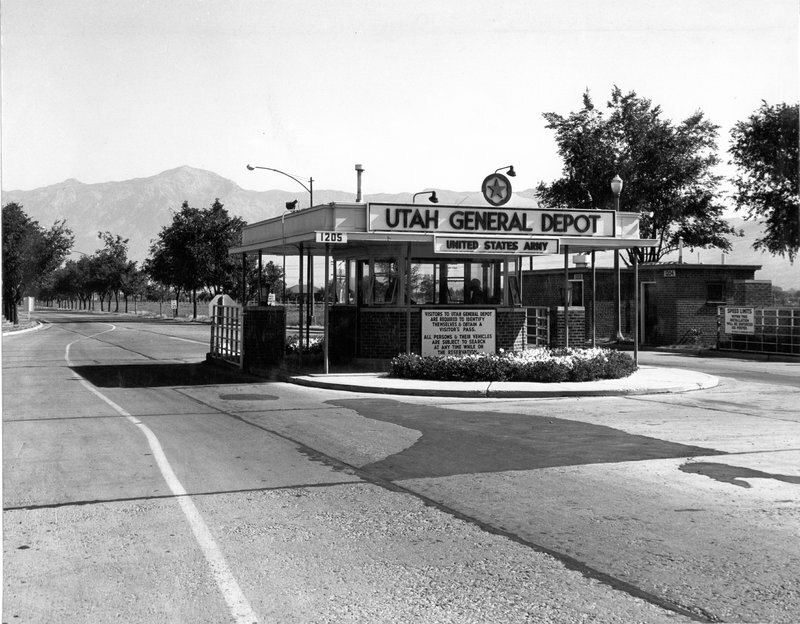 The Depot was originally activated as Utah General Depot on September 15, 1941, built on 1, 679 acres of farmland in the community of Marriott, Utah. Overseen by the Department of Defense (DOD), its mission was to provide logistical support which encompassed the following responsibilities: supply, storage, maintenance, contract administration, other services to military agencies. By the end of World War II, the depot’s eight original warehouses increased to twenty-eight and nineteen sheds. At its peak, the facility employed 4,000 civilians and 5,000 prisoners of war and was the largest wartime quartermaster depot in the country. 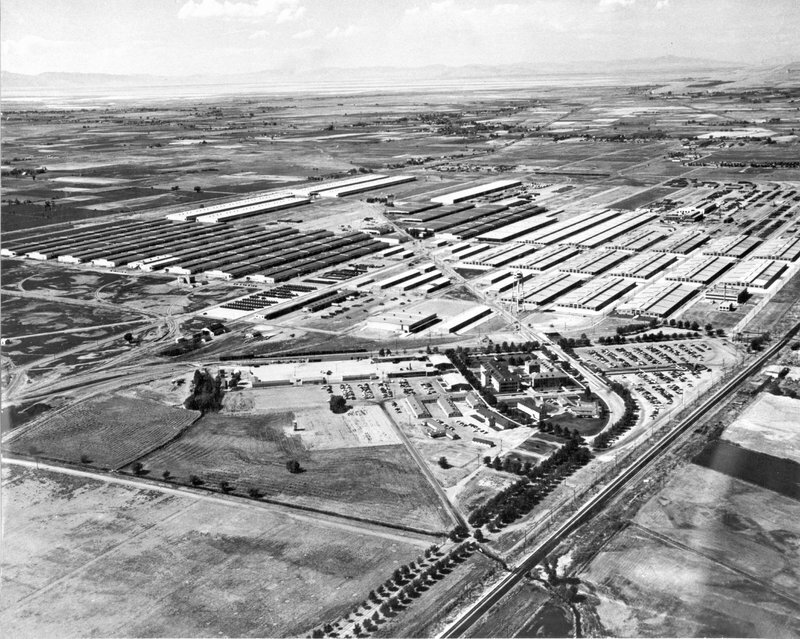 The Utah General Depot was also a prisoner-of-war camp. During those years, some 7,000 Italian and 8,000 German POWs were held there. 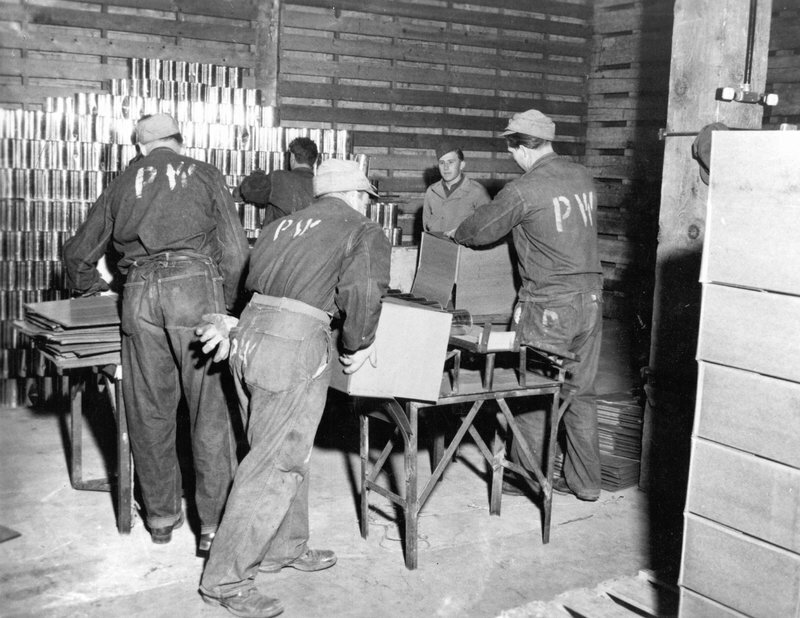 Some prisoners were allowed to do non-sensitive work. Socializing activities with the populace were held; where many friendships developed, and led to some prisoners returning to America after the war and marrying their sweethearts. Other services for the prisoners included: healthcare, food, clothing and many other essentials, that would be required by the Geneva Conference. 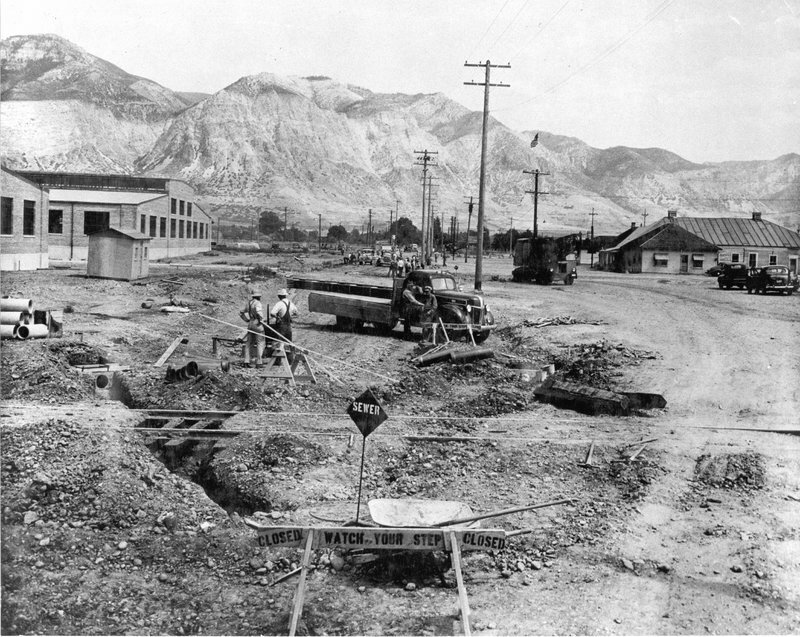 During the Korean War the activities at the Utah General Depot picked up again after a decline during the interwar years. Peak shipping of supplies came in 1953 when 37,000 tons per month were shipped, an amount greater than the heaviest shipping done in World War II. By February 1951, there were 4,282 civilian employees. In 1964, the facility was renamed the Defense Distribution Depot Ogden, Utah (DDOU). It served as one of the largest supply depots in the nation, with 6,189,000 square feet of covered storage space available in sixty-nine warehouses of various types. 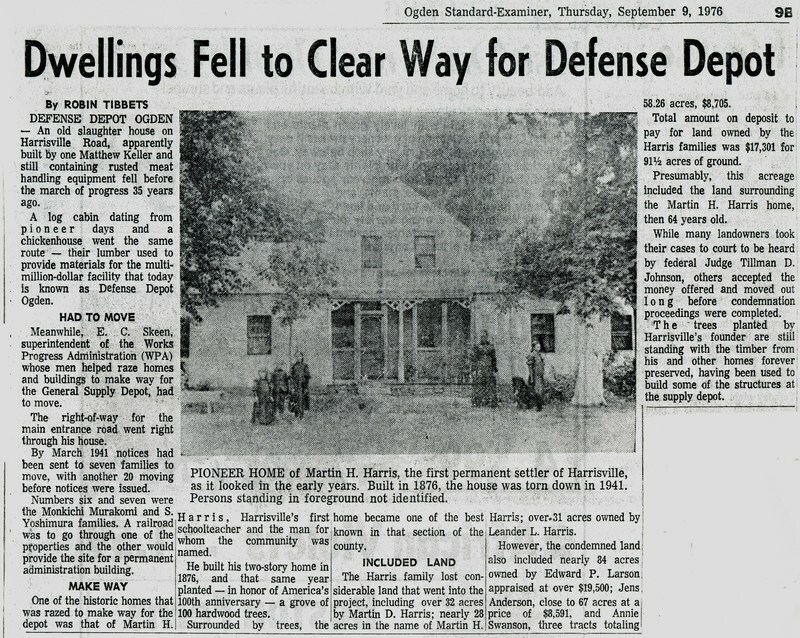 The Depot became host to other government facilities, including some functions of the Ogden Arsenal and a service center of the Internal Revenue Service. In 1995, the DDO was selected for closure listed in the Base Realignment and Closure Act (BRAC). Base functions would operate until September 30, 1997, when ownership was transferred to Hill Air Force Base, who later sold the property to the City and its partners. Many residents and former employees were sad to see the end. The City of Ogden and its partner the Boyer Company are currently transforming the Depot into modern warehouses which host multimillion dollar companies that contribute to the city’s economy. 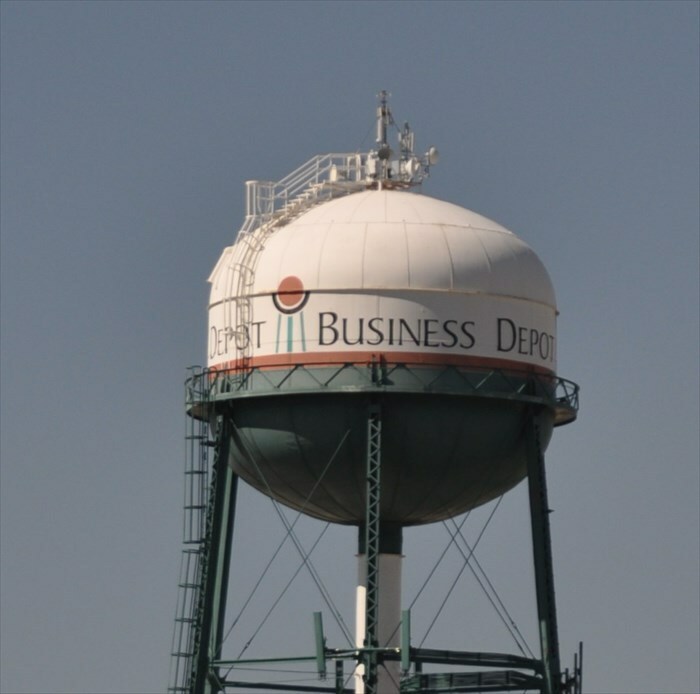 Business Depot Ogden Water Tower ~ Source: Waymarking.com. http://www.waymarking.com/waymarks/WMBMJK_Business_Depot_Ogden_Water_Tower. ,” Intermountain Histories, accessed April 20, 2019, https://www.intermountainhistories.org/items/show/272. Arrington, Leonard J. and Thomas G. Alexander. “Supply Hub of the West: Defense Depot Ogden, 1941-1964,” Utah Historical Quarterly. vol. 32 No. 2 (Spring 1964) 99-121. Baker, Walter. Interview, 11 April 2006, Weber State University Digital Collections. Bogg, Jeffrey J.Technical review of the economic development conveyance application for the Defense Depot Ogden, Utah. [Champaign, IL]: US Army Corps of Engineers, Construction Engineering Research Laboratories, 1999. Busco, Ralph A. “A History of the Italian and German Prisoner of War camps in Utah and Idaho During World War II.”Master’s Thesis., Utah State University, 1967. DDOU History Book Committee. DDOU: History Book . Ogden, Utah: The DDOU History Book Committee, 1996. Roberts, Richard C. and Richard W. Sadler. A History of Weber County. Utah State Historical Society, Weber County Commission, 1997, 289-291. Deseret News. “Did Officials Hide Historical Significance of Defense Depot?” 28 February 1999.